The estimated 23 daily visitors, each view 1.60 pages on average. 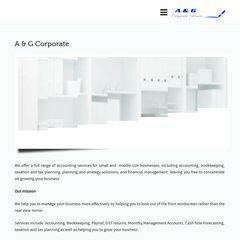 A-gcorporate.com's IP address is 208.100.54.131. Steadfast Networks (Illinois, Chicago) is the location of the LiteSpeed server. ns2.theservercompany.com, and ns1.theservercompany.com are its DNS Nameservers. PING (208.100.54.131) 56(84) bytes of data. Pinging the server, resulted in a 52.0 ms response.